New anti-piracy rules due to come into force from March 2014 | What Hi-Fi? Anyone who illegally downloads films or music from the internet will be subject to a 'three strikes' rule from March 2014 if new Ofcom proposals become law, the BBC reports. Under the draft code outlined by Ofcom, the UKs main internet service providers (ISPs) will be required to send letters to a customer when there is an allegation from a film, TV or music company that there has been illegal downloading on their computer. Web users who receive three warning letters in a year will then have anonymous information about their downloading and sharing history sent to copyright owners, who could then use it to gain a court order to reveal the customer's identity and take legal action against them for piracy. However, any internet users who are subjected to legal action will have the right to appeal against a report on their alleged copyright infringement, at a cost of £20. Ofcom's draft code is expected to pass through Parliament at the end of this year after the consultation period closes on July 26th. 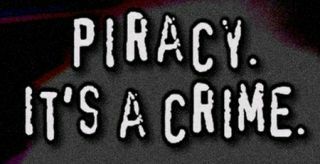 Some ISPs such as BT and TalkTalk have fought against the proposed anti-piracy legislation, challenging it in the High Court, but to no avail.